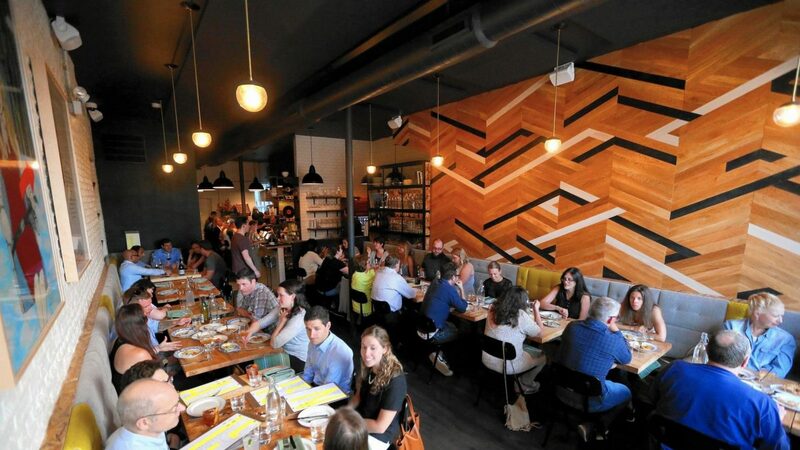 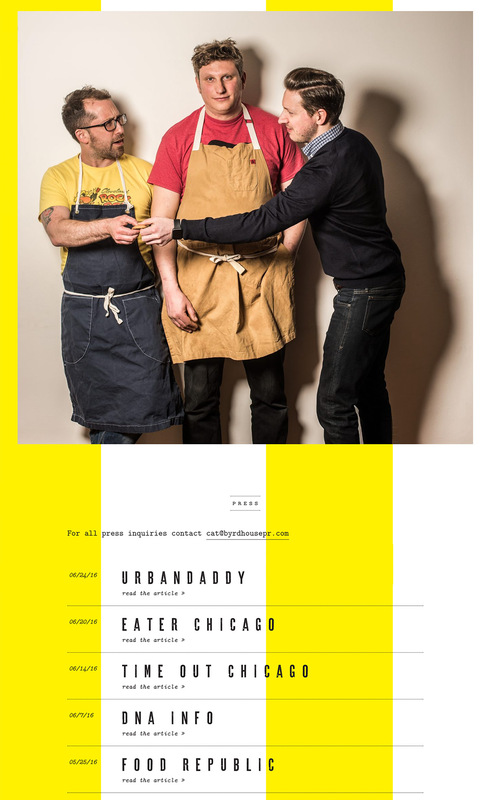 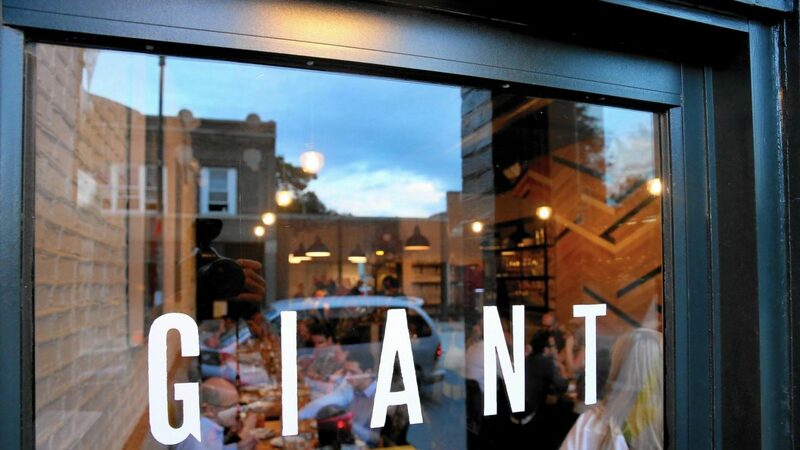 We were super lucky to work with Jason Vincent and crew as they opened up their new restaurant in our neighborhood. 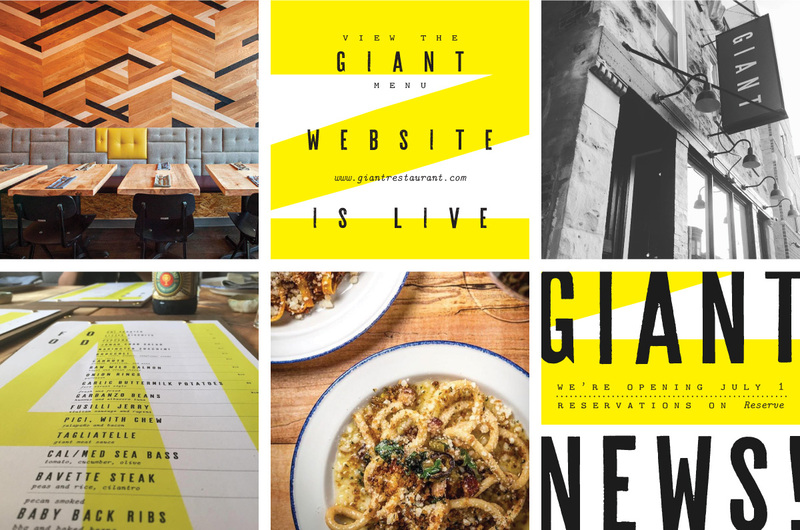 The name, Giant, is a bit tongue and cheek, since the space itself is tiny, so we wanted to play up the contrast between big and small in the design. 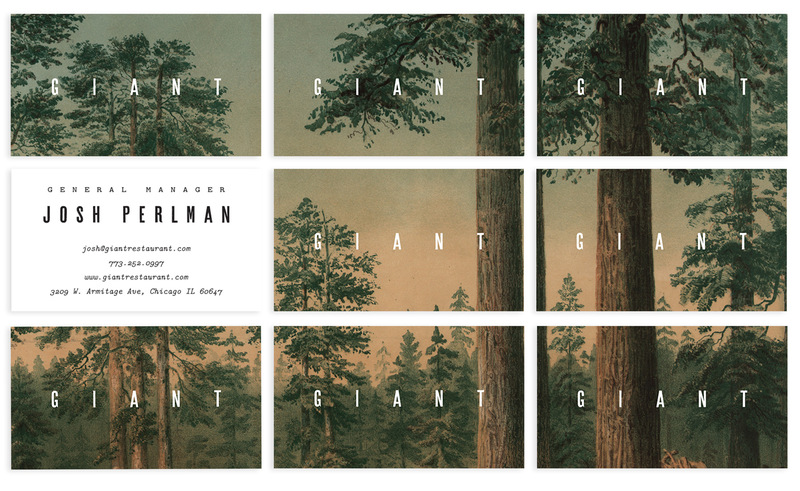 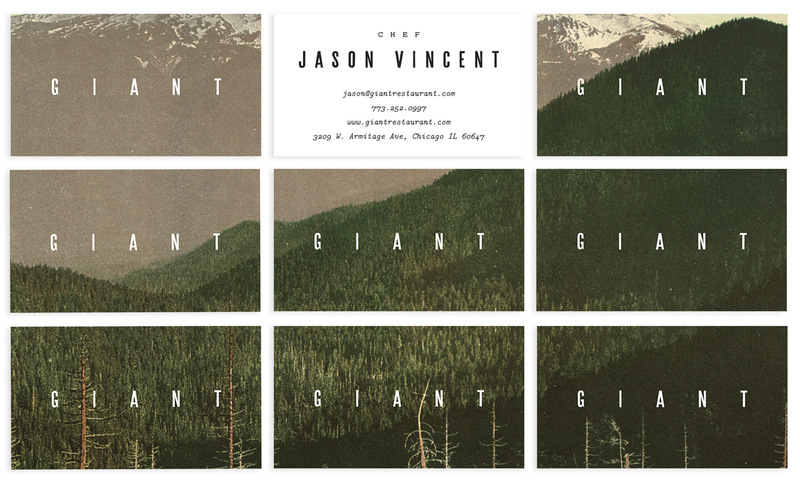 We paired the logotype with giant things: giant redwoods, giant mountains, giant clouds, and giant letterforms. 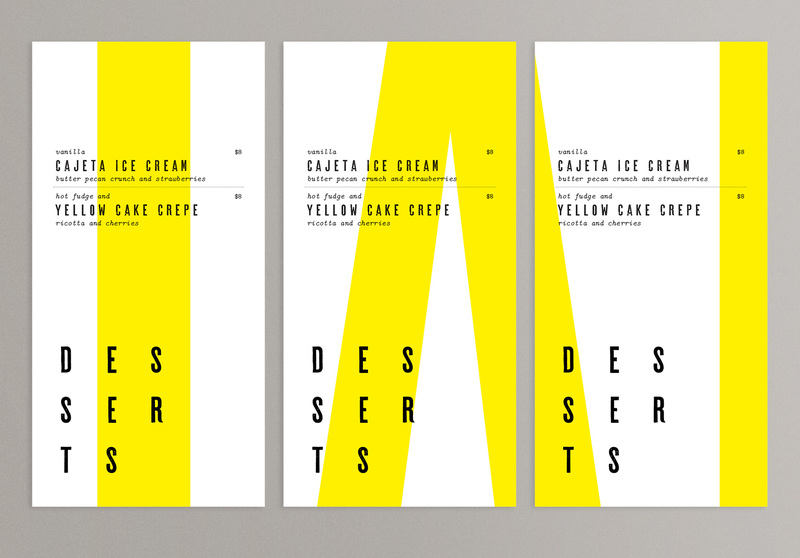 The logo is fluid, able to stretch to any dimension by varying the space between the letterforms. 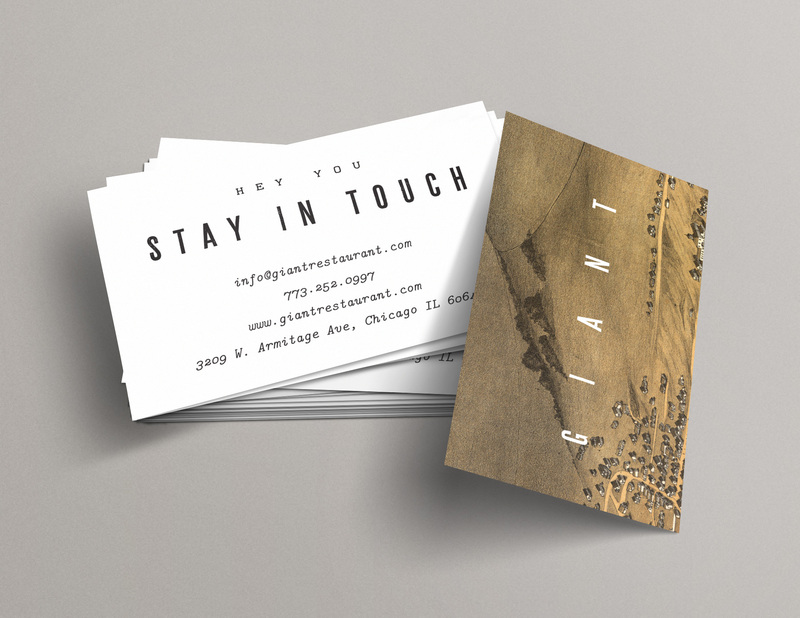 ALSO designed the business cards, menus, newsletters, signage, social media stuff and a single-page responsive website. 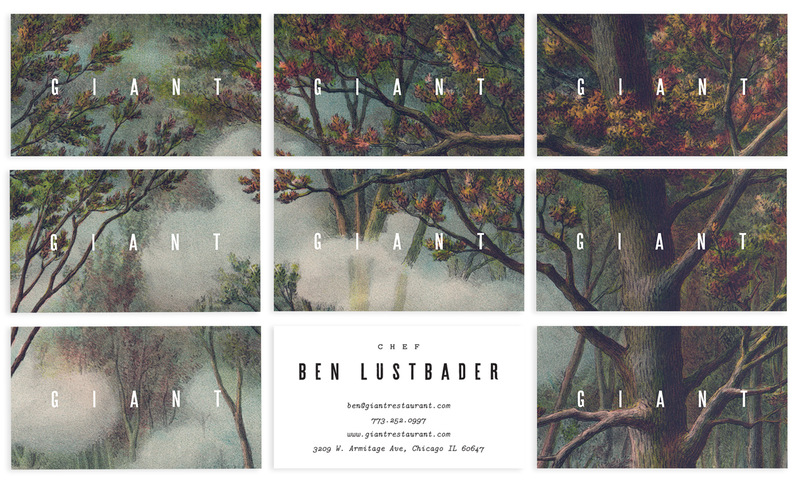 Collect all the business cards to create your own giant redwood forest scene. 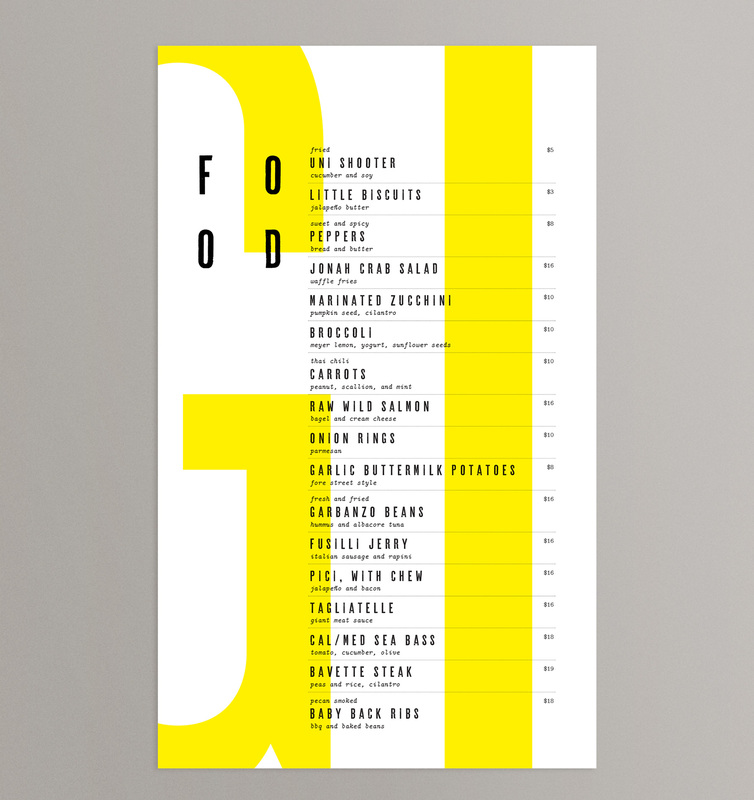 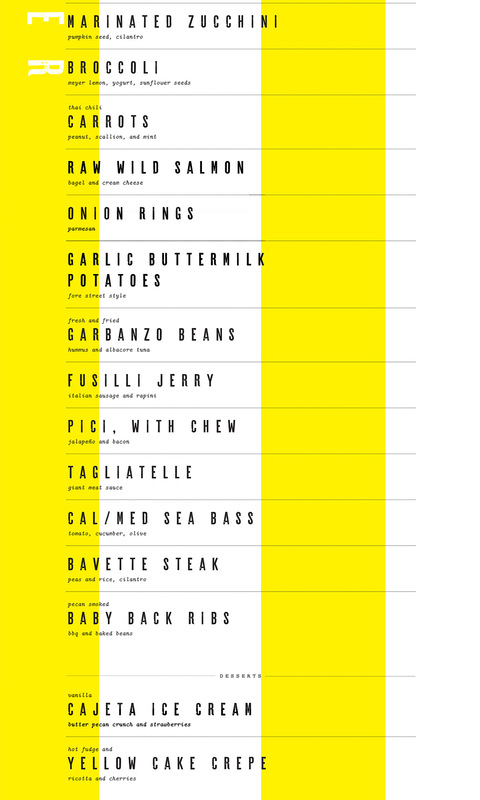 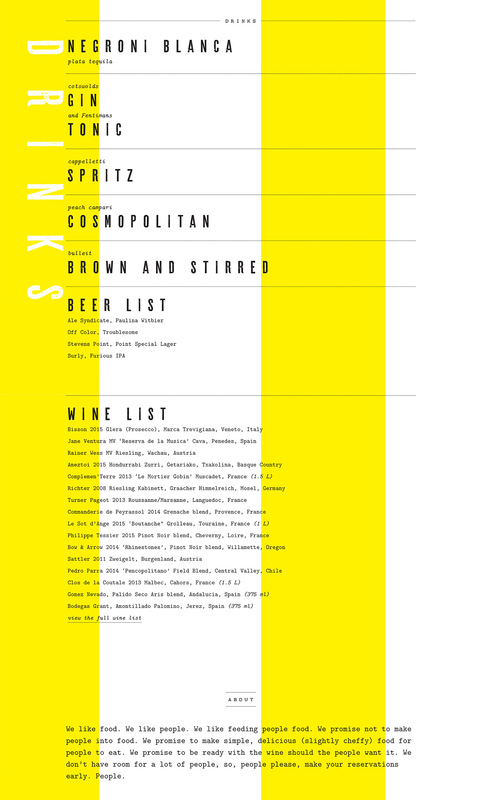 The menus pair the small type with giant type to play up the scale. 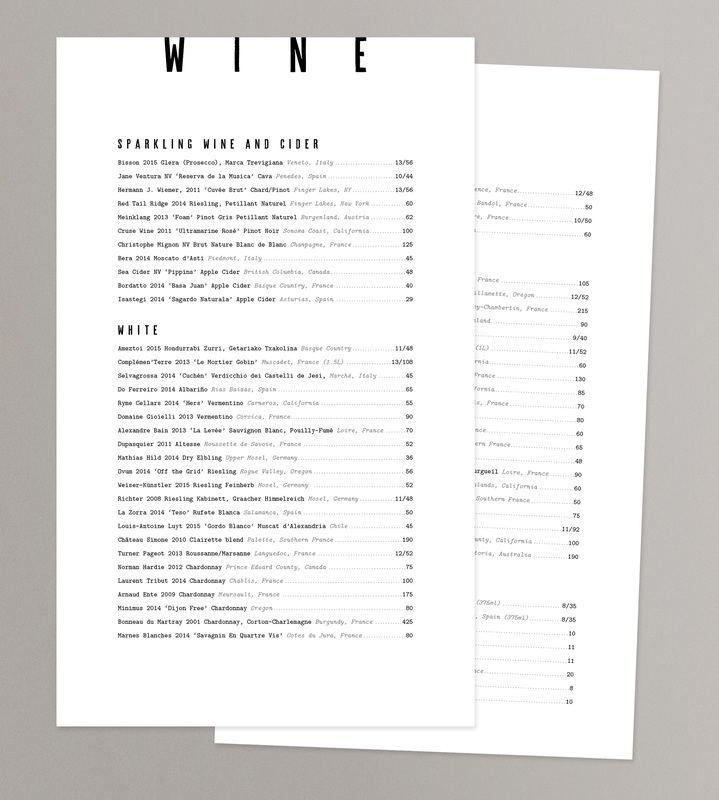 The often changing food and dessert menus are printed right from the website so they only have to be updated in one place. 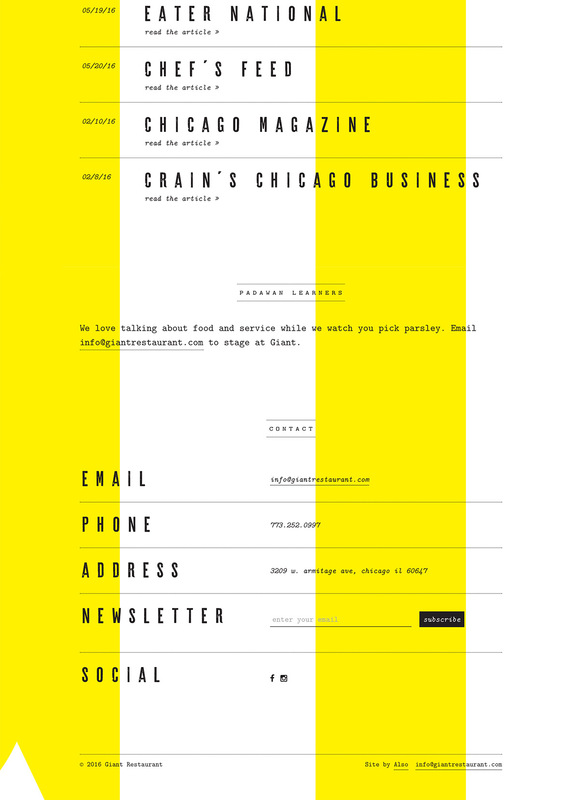 The responsive website is minimal and informational, providing important content like the hours and address at the very top, with no scrolling required. 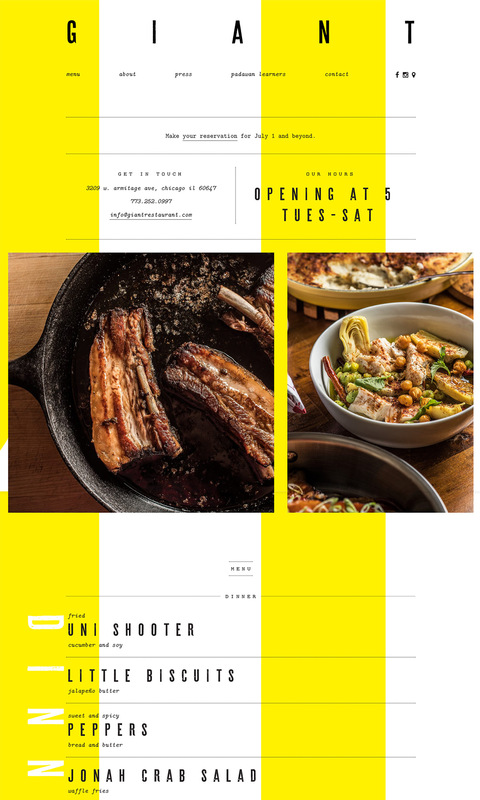 Different sets of giant letters appear as background graphics every time you load the page, but do not compete with the beautiful food photography.